What is Christmas if not to pamper and make our loved ones happy? That, of course, includes our four-legged loved ones. Have you thought about what to get for your dog yet? Well, we’ve found something for the eighteenth day of our Interiors Advent Calendar we’re confident you’ll love—not to mention the pup… the pup will be over the moon. Luxury British brand Savoir Beds has just introduced the ultimate dog bed, and it is, by far, the best gift for the pooch this Christmas. The mini-bed is filled with natural materials, including 100% lamb’s wool, bringing the comfort to some ridiculously wonderful levels. Each piece is lovingly hand-crafted with the same techniques and attention to detail employed in the manufacture of all Savoir Beds, since 1905. The design features removable and washable covers, bringing that much-needed dose of practicality into an ultra-stylish doggy bed concept. And just like the Savoir Beds for humans, each Classic Savoir Dob Bed is customised and made to order. There is no end to the styling possibilities, making it a gorgeously decorative and smart addition to the family home—and the dog will love it 24/7. 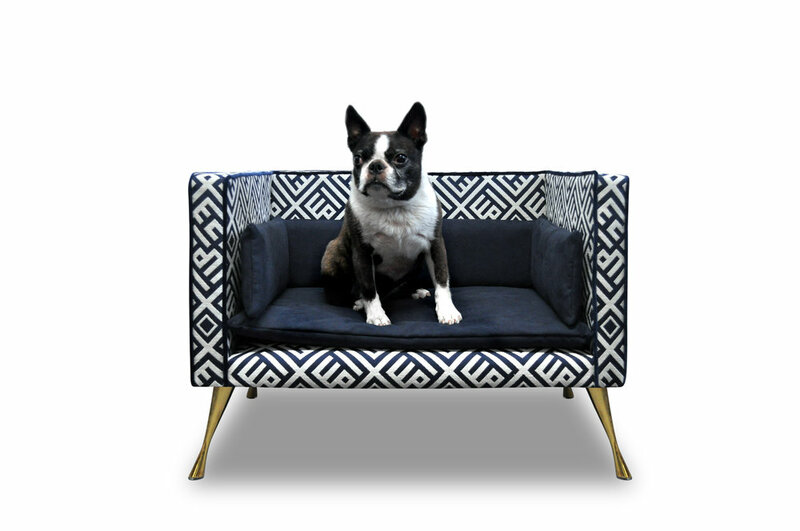 One of our favourite designs is the geometric blue and white fabric from Travers with Dedar piping, making it a sumptuous throne, worth your classy pooch. 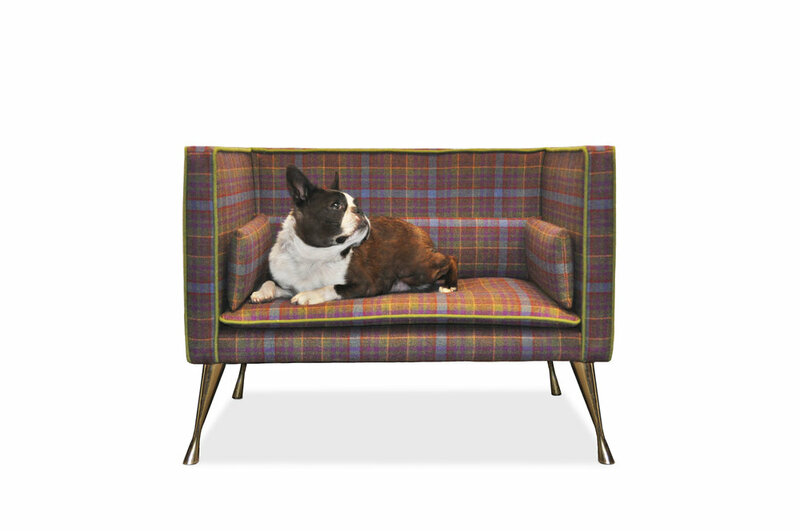 The cosy cushion pads are upholstered in faux suede from Kirby, and the Harlech legs are brass-plated, making this not just a dog bed, but a statement of style. Another great version is the Classic Savoir Dog Bed with a tartan design, which sort of resonates with the Christmas spirit by default. Its bold, country-styled colour palette is complemented by luxurious golden brass legs. The Greyfriars 100% wool tartan was created by the Grassmarket Community Project, dedicated to supporting vulnerable people, helping them become a part of the community and developing new skills. So, if you’re looking to make your pup happy and support an initiative that empowers vulnerable people, we reckon this bed’s a winner.